Ed is responsible for the management of the financial operations of Kellogg & Kimsey, Inc. Ed and his staff are commended regularly for their accurate and efficient processing of all requests, both for external clients and vendors, as well Kellogg & Kimsey, Inc. employees. He was previously a Controller for a worldwide insurance management company and an Audit Manager for regional accounting firm. 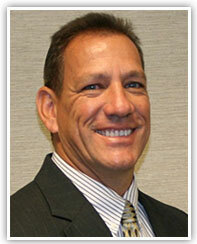 Ed, who became a CPA in 1990, holds an Accounting degree from Dowling College in Oakdale, NY.